Stop Weeds Before You See Them With Pre-Emergent Weed Control! 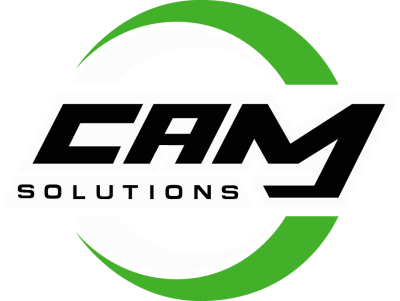 CAM Solutions Can Prevent Weeds From Emerging By Applying A Pre-Emergent Weed Management Technique For Weed Control. Pre-Emergent Herbicides Are Designed For Application Before The Weeds Germinate And Are An Effective Preventative Method For Controlling Weeds Without Killing Plants And Lawns. The Application Will Eliminate And Avoid Unwanted Weed Growth Through Biannual Applications Keeping Weed Management In The Forefront For Your Property Maintenance. The Pre-Emergent Control Solution Offered By Our Licensed Applicators Will Differ During The Year Due To Weather Changes And Active Inhibitors In The Area At The Time Of Application. Just As In Professional Lawn Care, Professional Weed Management And Control Duties Extend Through The Different Seasons. Pre-Emergents Require A Licensed Applicator Such As CAM Solutions To Apply As Proper Timing Is Needed To Be Effective, And Proper Application Is A Must. Applying A Pre-Emergent Too Late Or Too Early In A Season Is A Waste As Timing Is Critical. As Pre-Emergents Actually Kill Weeds Before Sprouts Emerge From The Soil, It Is Best If This Herbicide Is Spread Throughout The Entirety Of The Property For Best Weed Management. Our Licensed Applicators Help To Secure Your Property From Unwanted Weeds By Destroying Them Completely Through Professional Weed Management Techniques. Commercial Properties Often Need Pre-Emergent Throughout The Whole Property Twice A Year For Weed Management Because It Is Not A Closed Environment. The Lawn, Parking Lot, And Sidewalks Can Acquire Weed Growth Because Of The Openness Of Commercial Properties. One Fact To Keep In Mind Is That Weeds Love All The Conditions That Your Lawn And Property Don’t; Therefore, Keeping A Healthy Lawn And Clean Property Makes Conditions Harder For Weeds To Sustain And Are Imperative To Commercial Property Management. Professional Property Managers Know Best The Proven Methods For Reducing And Controlling Weeds. You Can Rest Assured When Hiring CAM Solutions As They Employ Trained And Licensed Applicators To Treat The Property Without Killing The Flourishing Plants, Flowers, And Lawn That Are Desired For The Property. Our Company Is Fully Licensed For Weed Management.